I’ve had a lot of Trader Joe’s experiences of late.To much local fanfare, a new store opened in Winter Park, Florida, not far (well, 40 miles) from where I live. 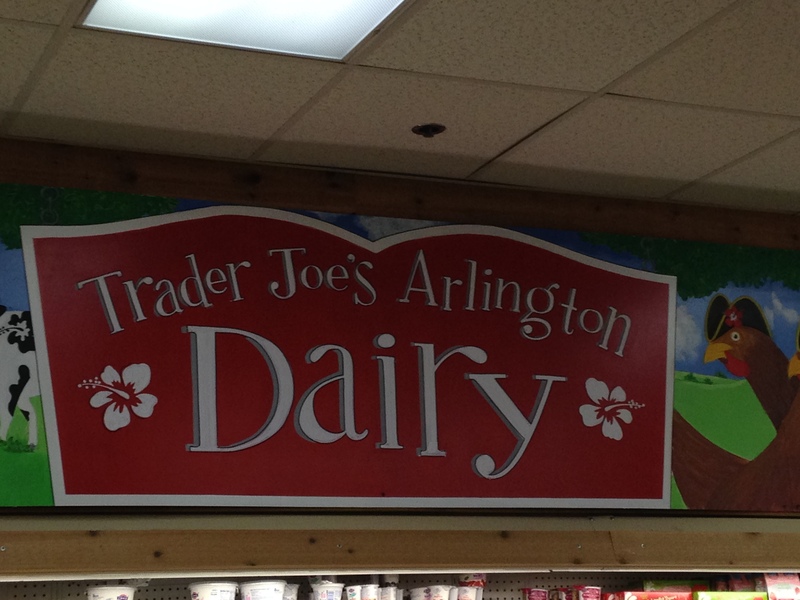 The very fact that 40 miles seems a traversable distance to shop for groceries says something about the allure of Trader Joe’s. My friends and I made a pilgrimage there the first weekend the store opened. More on that later. 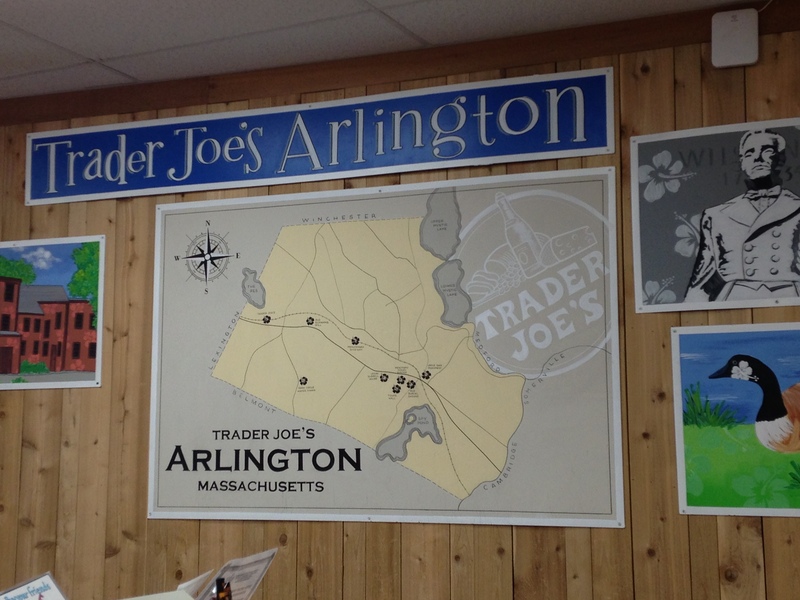 These photos show the Trader Joe’s store in Arlington, Massachusetts, near my own hometown of Lexington. 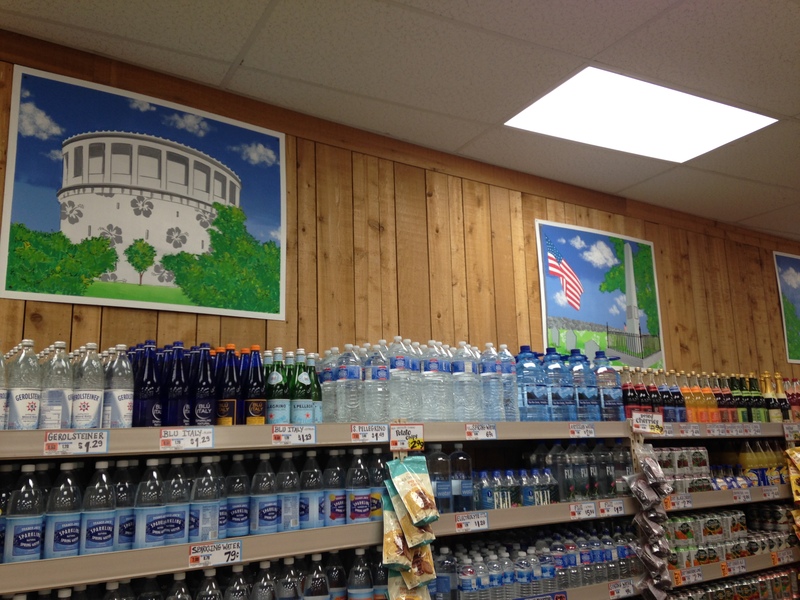 TJ is doing a good job here calling upon local identity to make this store distinctive. This strategy is not unique to TJ; even McDonald’s tries to personalize its stores and dilute their homogeneity with a local aesthetic (photos of skydivers in DeLand, Florida, for example, a skydiving center). But TJ does this localism particularly well, blending its signature quirky, bright aesthetic with irreverent historical puns. We can enjoy shopping at this chain but still feel a little like it’s not a chain and like the items there are chosen particularly for us. 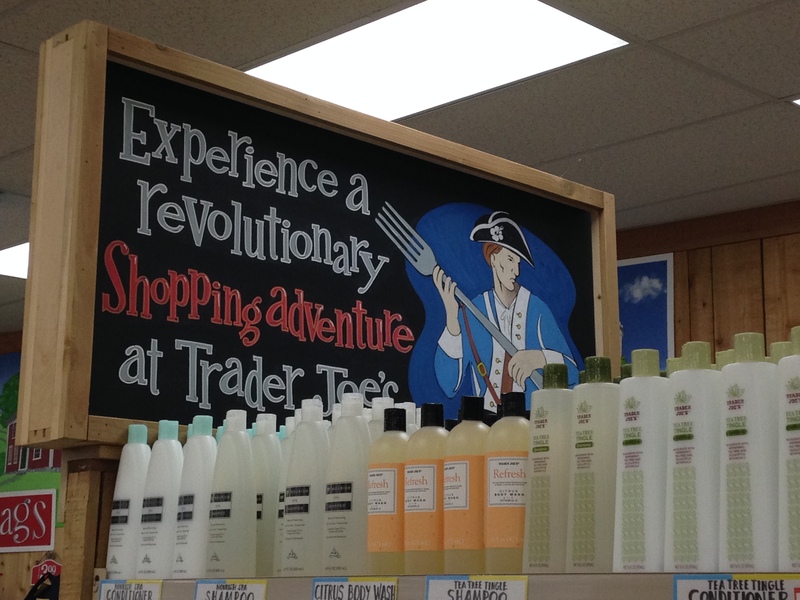 This is not just any store; it is a “revolutionary” shopping experience. Paintings of cows and farms remind us, nostalgically, of a pastoral history. 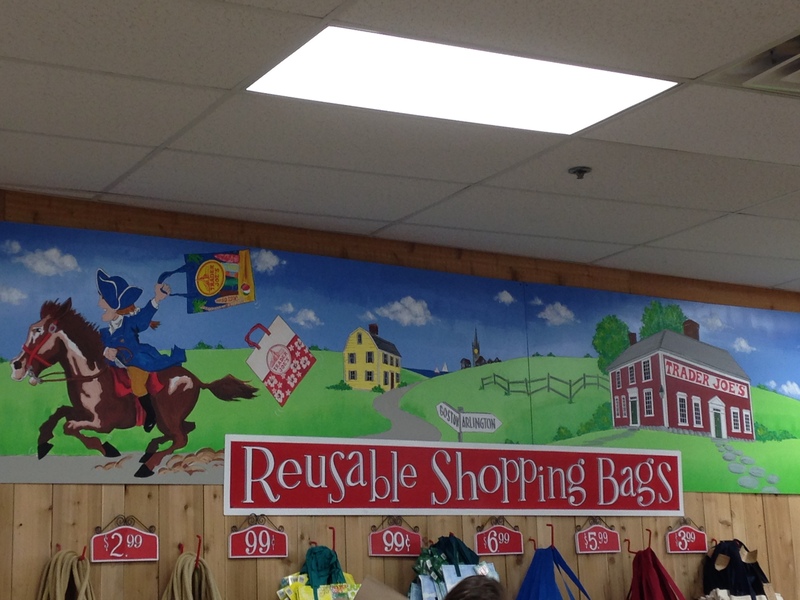 A revolutionary era patriot fleeing on horseback (Paul Revere?) hoists a reusable shopping bag. Pictures of local icons, historical and architectural, build on town pride. This is not just shopping; it is a shopping experience,relying on a sense of shared history and identity. It’d be interesting to know how important these strategies are to buyers. have buyer feedback on that.